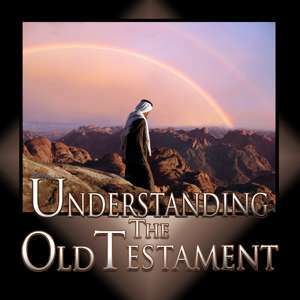 Most Christians today are woefully ignorant of the Old Testament. The Scripture says some very profound things about the Old Testament. In 2 Timothy 3:15-17 NASB “and that from childhood you have known the sacred writings which are able to give you the wisdom that leads to salvation through faith which is in Christ Jesus. All Scripture is inspired by God and profitable for teaching, for reproof, for correction, for training in righteousness; so that the man of God may be adequate, equipped for every good work.” Paul is writing to Timothy and he reminds him of how he through his mother and his grandmother was taught the Scriptures from infancy. Notice he refers to the Scriptures as the “scared writings.” Throughout the Scriptures in the New Testament we see this emphasis that there is a body of literature called sacred writings, called the Scriptures, the holy Scriptures and the Word of God. At the time that Timothy was a child nothing in the New Testament had been written, so when Paul says “from childhood … sacred writings” he is talking about the Old Testament canon that was available to Timothy. The very fact that he uses the phrase “sacred writings” indicates that there was an assumed canon of Scripture at that time that was authoritative. He said in verse 15 that these sacred writings were “able to give you the wisdom that leads to salvation through faith which is in Christ Jesus.” So he says of the Old Testament that it is able to give all the information he needed to be saved and that it pointed to Jesus Christ.